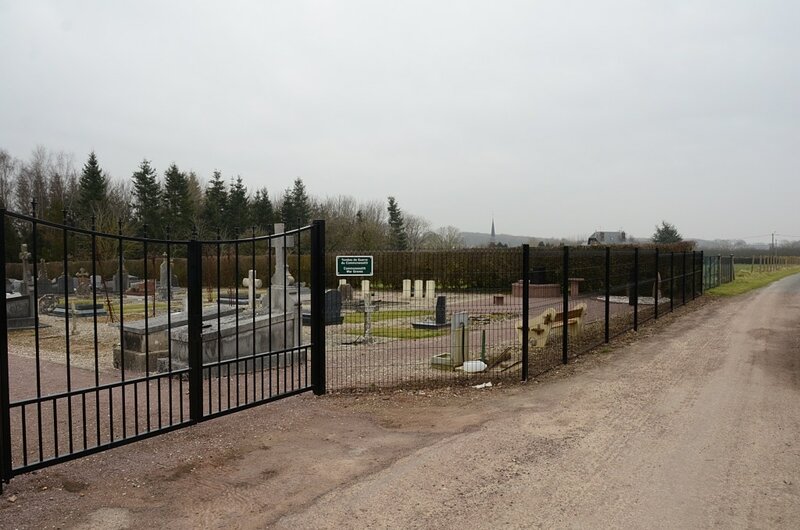 The village of Vismes-au-Val is situated about 20 kilometres south west of Abbeville, off the N28. At St Maxent turn right towards Vismes. When in the village continue through it and take the direction of Maisnieres. The communal cemetery is on the D190. 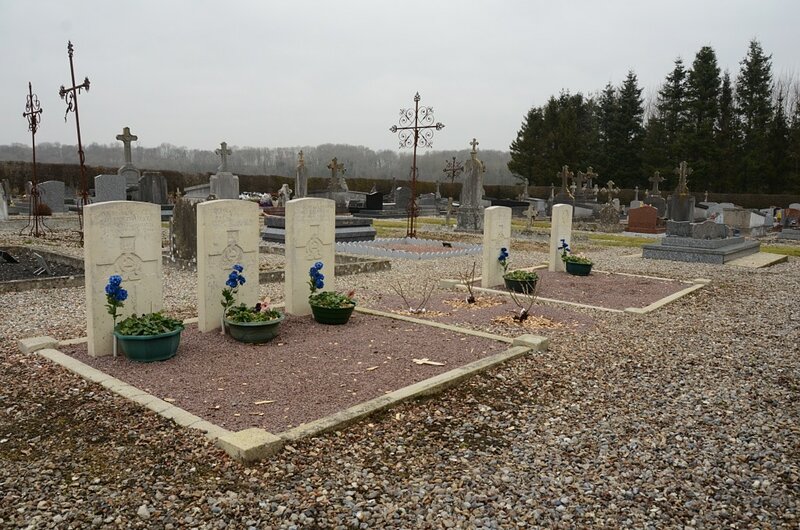 The war graves will be found on the right near the front of the cemetery. 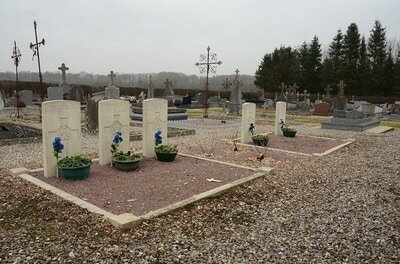 Vismes-au-Val Communal Cemetery contains five Commonwealth burials of the First World War. 1975 Company Sergeant Major W. T. Kerns, M. M., 2nd Bn. Lancashire Fusiliers, died 4th November 1916, aged 27. 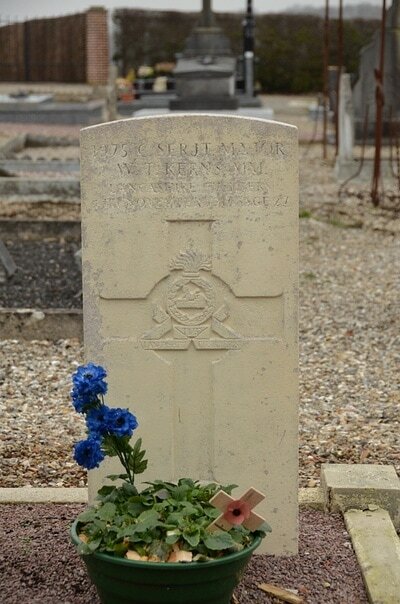 Son of Edward and Mary Jane Kerns, of Neston, Cheshire. 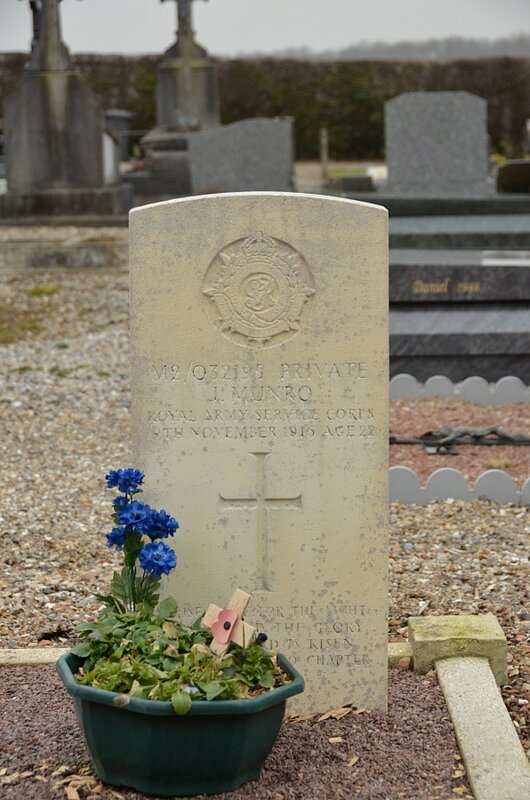 M2/032195 Private John Munro, Mechanical Transport attd. 11th Field Amb. Royal Army Medical Corps. 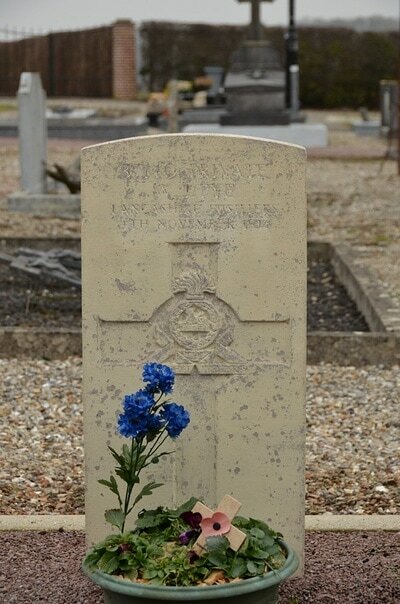 Army Service Corps, died 19th November 1916, aged 22. Son of Donald and Annie Munro, of Kinloch, Reay Forest, Lairg. Born at Achfary, Sutherlandshire. 37140 Private W. J. Pye, 2nd Bn. Lancashire Fusiliers, died 4th November 1916. 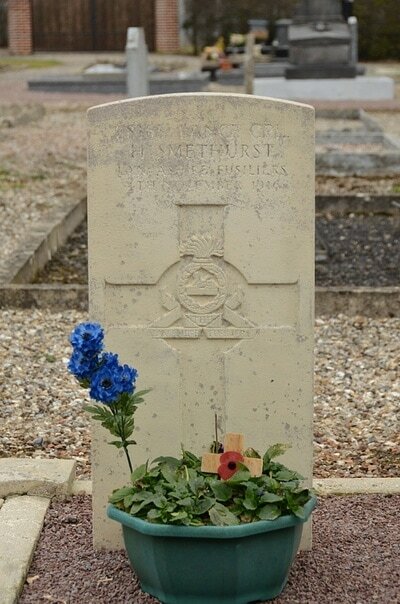 28165 Lance Corporal H. Smethurst, 2nd Bn. Lancashire Fusiliers, died 4th November 1916. 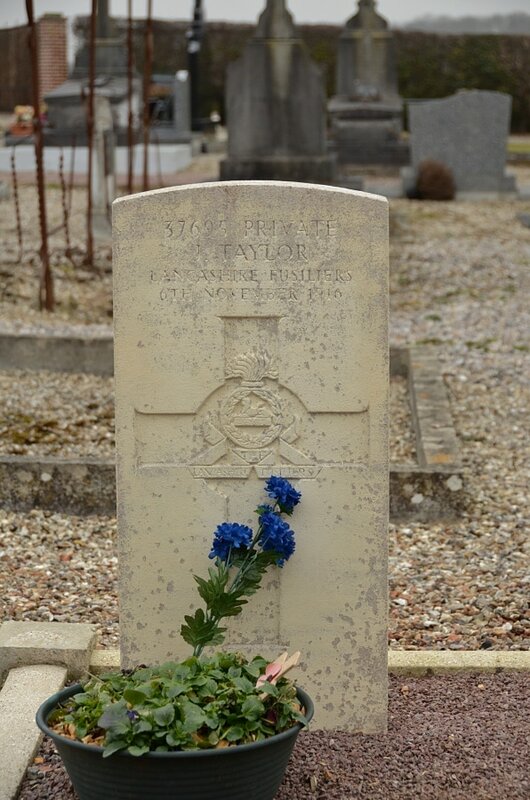 37695 Private J. Taylor, 2nd Bn. Lancashire Fusiliers, died 6th November 1916.